Legrand Singapore is the Regional head office for Southeast Asia, with 6 factories and a workforce of over 600 employees, Legrand Singapore is the regional logistics hub delivering more than 18,000 products for markets across Data Centers, buildings and industrial. Part of the global Legrand network, Legrand Singapore provides a comprehensive range of products solutions for data centers and buildings under brands specialists such as BTicino, Cablofil and Raritan. With a local staff strength of 120 and manufacturing facility in Singapore (59,000sft), we control the process from initial design through to distribution and delivery, ensuring high standards are maintained at every stage of production. Endorsed by customers and long-term partners, Legrand Singapore is a leading manufacturer of racks, Voice-Data-Image racks and related products for data centers in the region. Through investments in innovation and smart buildings R&D, Legrand’s product portfolio goes from wiring devices to building access and automation solutions. With award-winning designs and meticulous attention to details, Legrand is well recognised for quality assurance worldwide. Legrand is a global specialist in products and systems for electrical installations and digital building infrastructures. With presence in nearly 90 countries and a workforce of over 37,000 employees, Legrand has a complete offer, tailored to the commercial, industrial and residential markets, making it a reference worldwide in more than 180 countries. Control and monitoring of installations, cable management, power distribution, distribution of “voice-data-image” systems, Legrand provides numerous solutions for managing lighting, heating, energy, networks and access in buildings. Its product offering is particularly extensive, with over 215,000 products in its catalogues, divided into 81 product families. Visit www.legrand.com for more details. At the heart of Legrand, we are committed to everything we do. To build a sustainable and socially responsible business, we worked with our partners and customers to incorporate these principles into the way we run our operations. 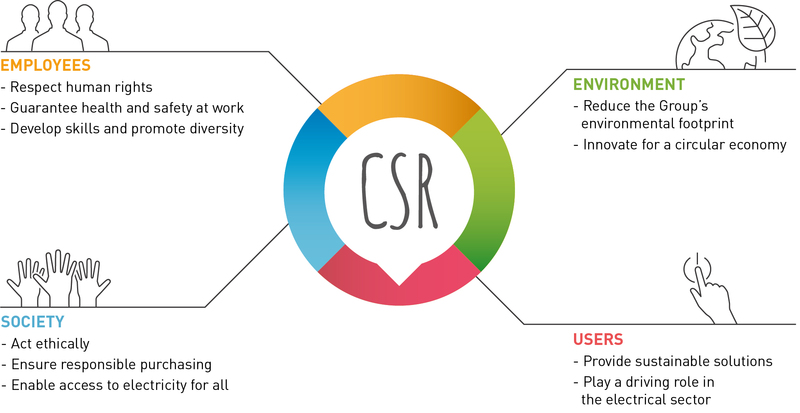 The four main areas towards our commitment are based on User, Employees, Society, and Environment. Legrand is a member of The Singapore Green Building Council. The mission of the SGBC will be to propel Singapore's building and construction industry towards environmental sustainability by promoting green building design, practices and technologies, the integration of green building initiatives into mainstream design, construction and operation of buildings as well as building capability and professionalism to support wider adoption of green building development and practices in Singapore. The user and the user’s needs lie at the very heart of the Group’s concerns. Every day the Group counts on innovation, to be able to offer sustainable solutions and drive progress in the electrical sector. Legrand’s responsibility relies on the utmost respect of rules of ethics and applies to all of its partners, especially its suppliers and customers. The gathering of alerts from Group employees concerning the existence of behaviour or situations that violate the Group’s charters and guidelines, in particular in the areas of compliance, discrimination, harassment, health and safety is essential to the group. The Legrand Group intends to guarantee the observance of human rights all over the world. It is also committed to safeguarding the safety and health of all and determined to develop skills and promote diversity. Legrand’s environmental protection approach concerns both the running of the Group’s industrial sites and the way it designs its products. The challenge is to innovate to limit the environmental impact of Legrand’s activities, particularly by favouring the implementation of a circular economy. Read latest news, press releases, contacts, etc from Legrand 24 hours a day. A portfolio of flagship brands.